When patients hear the term "Dental Veneers" the thought of a "Fast & Beautiful Hollywood Smile" jumps to their minds. Dental Veneers require minimal tooth reduction and are therefore more conservative than dental crowns. It's not the only alternative for aesthetic abnormalities, but it's truly a remarkable restoration when it's the treatment of choice. 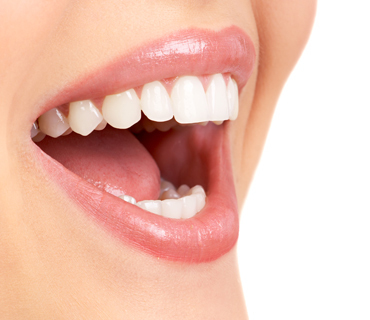 Dental Veneers are thin superficial coverings for teeth. They are usually made from porcelain or resin and are usually applied to the front teeth. Huge cosmetic improvements can be made with veneers to rectify the colour, size and shape of teeth. The teeth must be reasonable healthy, but with an aesthetic problem regarding colour or shape. We don't want to sacrifice a healthy tooth structure in the name of cosmetics. A good balance of minimal tooth preparation and great esthetics are our main objective. When teeth are already overfilled with existing fillings. Crowning would be the more obvious choice, because more preparation will be necessary to include these previous fillings. Heavily stained teeth needs more reduction to mask the stain and Dental Veneers might be a too conservative approach. Teeth that are too skew. It will need too much reduction. The grinding patient needs to be well evaluated and educated. It is a NON-REVERSABLE procedure and if the patient is in doubt, rather seek other options. During this appointment, the Dental Veneer gets cemented on the tooth, applying a light-sensitive resin, using a white light. Once placed, the Dental Veneer is very strong, but make sure to adhere to the home care instructions to help you looking after your Dental Veneer the best you can. Daily brushing and flossing is essential. The use of a soft toothbrush is the best way to remove the plaque around the neck areas of the teeth. Some sensitivity to cold or hot beverages may be experienced after placement. This will normally subside within 1-2 weeks. If unsure, please contact your dentist. Use common sense and avoid biting on hard things e.g. ice cubes - the biting edges are delicate! If you are serious about looking your absolute best on your wedding day and having your greatest SMILE ever, we are here to help! For the first time ever we are giving away our MOVIESTAR SECRETS to help you transform your smile! try will drive you crazy! A great SMILE is the secret that ties everything together in giving you fabulous pictures, oozing confidence and a drop dead gorgeous YOU! Subscribe now to get access to these amazing SECRETS !